Transpooler School Bus System and APPs Blog, here we share with our user's community the latest news and updates related the the school bus industry. We share details about our School Bus APPs new features and releases. And will shed lights on the latest innovations in the school bus technologies. Despite the modernization happened in most of the processes and activities related to education, it is surprising to see many nurseries and sport/art academies still use the paper sheets to record the student attendance and absence. Well, probably there is a misconception that getting an attendance system would be a tedious project, which requires software purchasing, staff training and availing computing devices to the staff to be used for recording the attendance. But in reality, this age has long gone! Today, even the small educational institutions have access to simple solution, which can be deployed in near-zero time, and is easily usable by all the staff, using the power of their personal smart phones. As you’ve probably guessed from this article’s title, the ideal student attendance tracking solution must be useable by the teachers’ and admins staff mobile phones. This comes in line with the latest trend adopted by the giant tech companies when they were working on launching new products. The world realized that everybody now is carrying a super computer in their pockets, and this can have great impact on simplifying our lives and daily work activities if we managed to use those devices properly in our day-to-day businesses. 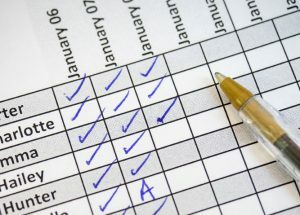 Student attendance tracking task specifically is needed in different places; in classes, in school buses, in sport or art academies for children, and in many other possible cases. And this makes the “Mobile First” a must-have requirement for todays’ student attendance tracking system. Taking the student attendance using the smart phone, will make the teachers, bus staff and coaches life much easier. We at Transpooler have worked close to many schools and nurseries, and learned a lot about the differences between recording the students boarding information of the children in the buses, versus the traditional student’s attendance in classroom, and the absence requisition processes involving the parents. So Transpooler system and APP covers 3 different processes, which can be activated by the school or academy according to their exact needs. Record the child check-in and check-out from the bus, which confirms the child boarding on the correct bus, and the safe off boarding after arrival. Take the class room attendance by marking the absent students. The school admin can record absence requests on the system (after receiving parents’ call or email). The requests are automatically visible on the teachers and coaches APP on the day of the absence request. Activating the Parents APP would be a big plus especially for the children in nurseries, as the mothers will receive immediate notification when her child is on-boarded and off-boarded the bus, cutting the doubts that the child was forgotten sleeping in the bus at the morning, and eliminating the typical mistake of misplacing the child in the wrong bus in the afternoon. Needless to say that one of the greatest benefits of automating any process, not just simplifying the data capture, but more importantly is to make the reporting task quick and easy. The simple click-of-a-button being performed by the teacher’s in the class room, or the bus matron’s in the bus, has eliminated much of the data entry work used to be performed by an admin staff. Moreover, it helps the management team to extract plenty of reports via few clicks, reports can be ” the absence per student” or per class or per bus, and in the cases where the fees are calculated per session or per day (In some nurseries or sports/art academies), these reports can be easily used to calculate the fees per child per month. Getting a system that can just meet your immediate needs, doesn’t seem to be a smart choice in today’s competitive businesses. In a world where every person and business aims to excel, exceeding the customer’s expectation and walking the extra mile actually make a huge difference. 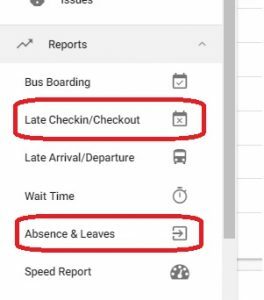 Transpooler system and APP genuinely adds the parents to the process in a seamless way, where the parents (after being authenticated by the school or nursery admins) will be able to view their students absence record from their mobile APP, and can also use the APP to place absence requests, which will immediately reflects on the system and appears on the Bus Matron’s or the Teachers’ APP. It can’t be any simpler to start using Transpooler Student Attendance Tracking; It is Free service for any educational organization has less than 50 students. And since it is very important to ensure that there is supporting and friendly staff who can help you using this free service, we decided to assist you personally from the minute you decide to use this APP. Just send us an email to info[at]transpooler.com , title “The free-50 of student attendance tracking”, and we will contact you back to provide you with your institution account and quick guide to start. It will take only 1 working day to start using the system, we can upload your students data on the system if requested. Hurry up! This is a unique opportunity for your nursery or sport/art academy , and the free offer is valid for limited number of institution on first-come-first-serve basis. ترانسبولر هو نظام متكامل لادارة النقل المدرسي باستخدام تطبيقات الموبايل , تقنية مصرية , تعمل في ثلاث بلاد عربية. © 2017 Transpooler, All rights reserved.